Jason is an Investment Manager with Aberdeen Standard Investments, mainly working with co-investment private equity deals. He trained as a CA with KPMG and investment banking firm Simmons and Company. Jason is Chair of the ICAS London Area Network, representing members throughout the area. Jason Harvie CA talks about risk, reward and what his qualification means to him. London is a key location for the CA community and Jason Harvie CA, Chair of the ICAS London Area Network, believes that it is set to play an even bigger part in the near future. Jason qualified as a CA in 2012 and is now an Investment Manager with Aberdeen Standard Investments (ASI) based in the City. He is primarily focused on investing in private equity co-investment opportunities in Europe. ASI looks to invest anywhere between £10m to £60m underwriting equity investments in leveraged buyout transactions alongside other institutional investors and financial sponsors. The companies invested in are typically in the range of £100m to £1.5bn in terms of valuation. This includes appraising the initial investment materials, analysing transaction due diligence, financial modelling, engaging in supplementary due diligence, meeting management and presenting findings to the investment committee. As a CA you have the core skill set to deliver across a wide variety of roles in business. This is a blessing, as careers today require an ever-increasing range of skills. Following investment, Jason and his colleagues continue to meet management and the lead sponsor to monitor progress and report back to investors. ASI is the organisation resulting from the merger between Aberdeen Asset Management and Standard Life. Jason says the change has not fundamentally affected his role. Having held roles across investment banking with energy specialist Simmons & Co and more recently asset management with ASI, Jason would give this advice to any CA starting their career journey today: “As a CA you have the core skill set to deliver across a wide variety of roles in business. The CA qualification remains highly applicable to all that I do today. He got involved in the ICAS London community initially out of a growing concern that ICAS and its members need to do more to maintain the perceived value of the CA brand – traditionally highly regarded – in today’s business world. Last October, he became Chair of the London Area Network, and he says it’s an exciting time for members in London. Jason says: “London area members should hopefully have seen ICAS networking events taking place in iconic locations in London, such as Somerset House late last year and St Paul’s cathedral this month. 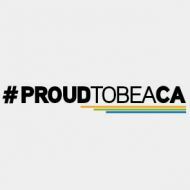 The London membership has also been a key driving force behind the #ProudtobeaCA campaign recently launched by ICAS. Jason says: “We hope that by CAs sharing the reasons they are proud to be a CA, we can generate engagement from the membership base while reinforcing in the minds of the wider business community what it is to be a CA today. “Our hope is that the London Area Network will continue to build on the positive momentum generated to date and contribute to ICAS strategy, not just in London but more broadly.